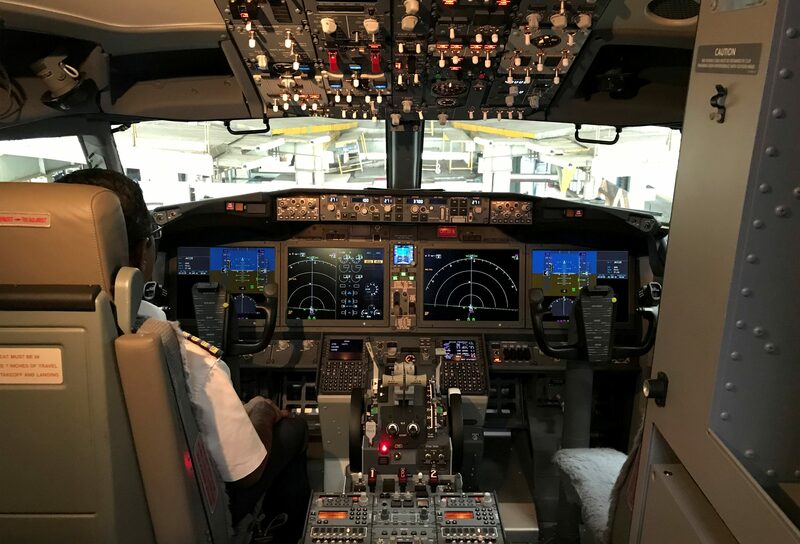 The cockpit of Jet Airways Boeing 737 MAX 8 aircarft is pictured during its induction ceremony at the Chhatrapati Shivaji International airport in Mumbai, India, June 28, 2018. Officials investigating the fatal crash of a Boeing 737 MAX passenger jet in Ethiopia have reached a preliminary conclusion that a suspect flight-control feature automatically activated before the plane nose-dived into the ground, the Wall Street Journal reported on March 29. The family of Jackson Musoni, a Rwandan victim of the March 10 crash, filed a lawsuit against Boeing on March 28 in a federal court in Chicago. The suit, believed to be the first from the disaster, alleged that Boeing had defectively designed the jet’s automated flight system. Boeing declined to comment on the lawsuit. Boeing shares have lost more than 11 percent since the Ethiopian crash, wiping more than $25 billion off its market value.